It’s always impressive to see builders like BrickinNick who can do so much with relatively few elements. 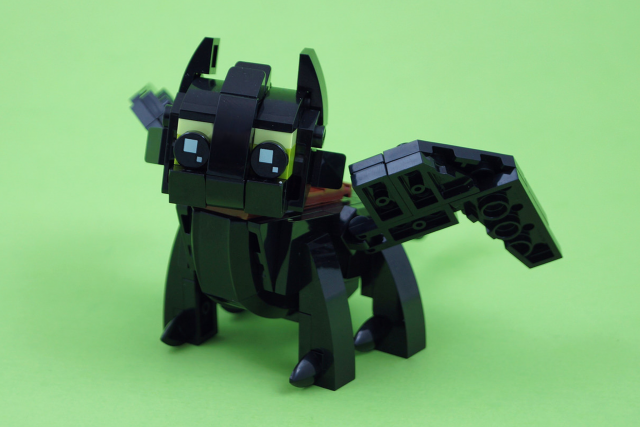 This miniature build of Toothless from How to Train Your Dragon is impressive for this scale, looking incredibly adorable. The shaping and curves of the wings and feet all look suitably proportioned, while the green eyes and stance use just the right parts to pull it off. I just wish Nick had another angle so we could see that broken tail fin to complete the look! Thank you for the additional view! Keep up the greak work!